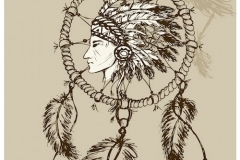 Dreamcatchers are pervasive in Native American culture, and can be found in many parts of the Southwestern and Western United States. 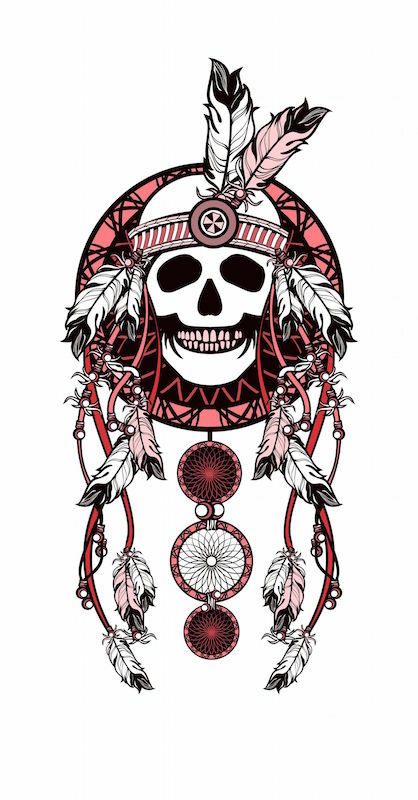 For those who are looking for a tattoo that combines mysticism with positivity, look no further than dreamcatcher. 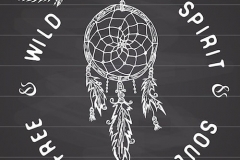 What Does the Dreamcatcher Tattoo Mean? 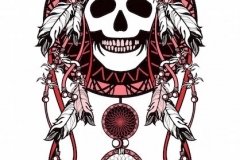 Dreamcatchers are Native American in origin, and are believed to be protectors of people as they sleep, hence the name. Legend has it that a “Spider Woman” used to travel around the Anishinabe (Chippewa) tribe, weaving protective webs over newborn infants. 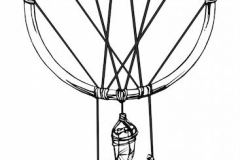 Her web was said to help ensure that they had pleasant dreams, blocking the bad ones out. As the tribe continued to grow in numbers, the women started to help out the Spider Woman by creating their own dreamcatchers, mimicking the web she would weave over babies. Round shape: The circle is an important shape in many cultures, and often represents the cyclical nature of life and the infiniteness of the universe. 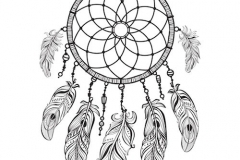 Woven web: As mentioned, the web is a way to “catch” any bad dreams, and the central hole in it allows the good ones to travel through to the person. Feathers: Crucial symbols in Native American culture, feathers often represent air and flight, but depending on the type of bird they come from, can be even more specific in what they symbolize. 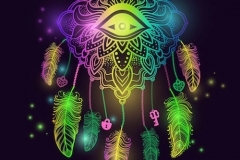 For example, owls are typically related to the idea of wisdom; therefore, an owl and dreamcatcher would promote increasing the wisdom of the protected person, while simultaneously blocking negative energy. Gems: Coming from deep in the earth, gemstones are often representative of the “Creator,” the chief deity, or of the four directions/elements of life. 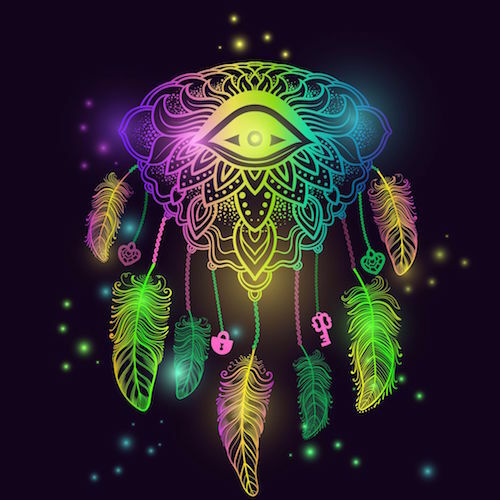 Dreamcatchers are all about balancing a person’s energy: removing the negativity, and increasing the positivity while the person sleeps. As a tattoo, they can be a protective force during the night and during the day, and can be presented in a number of different variations. 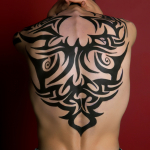 Just like with dreams, this kind of tattoo allows positivity to enter the user’s energy, while removing the negative. 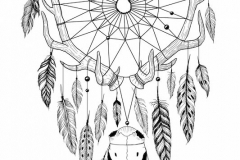 One thing that is in common of most dreamcatcher tattoos is that no matter the style, the items used for decoration are those that come from nature. 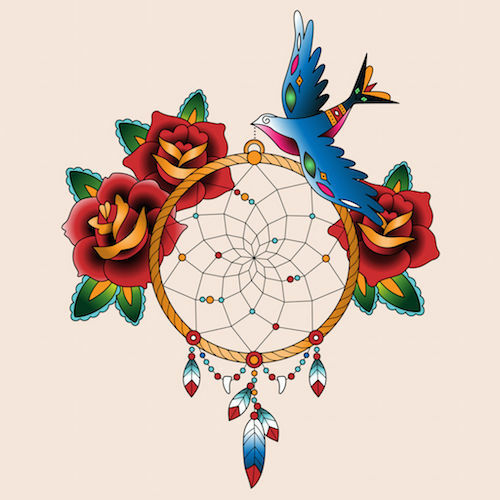 Some people like to tailor the specific feathers they use, while others may prefer to use leaves or other organic materials to build up the dreamcatcher design. 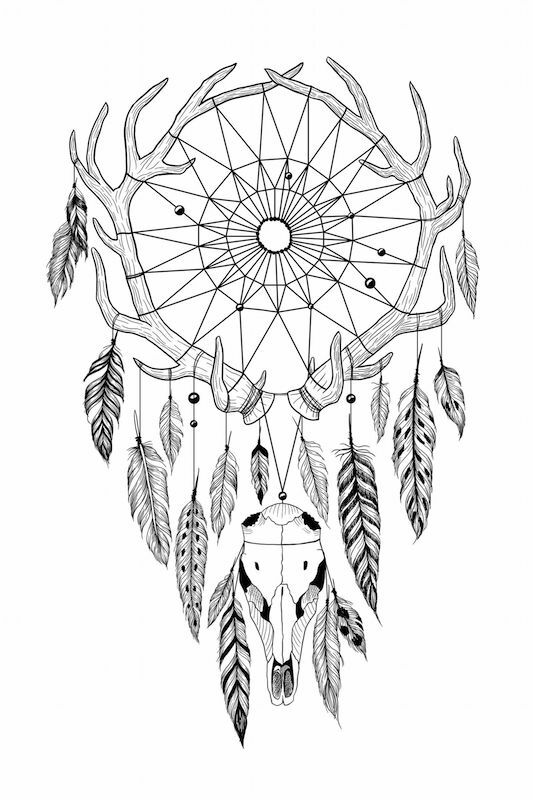 The shape and patterns of the net is also an area of the dreamcatcher tattoo that can be customized to your tastes. Some people like to put a heart design in the center of the net, representing opening up to positive love energy. On the other hand, some people like to create an intricate mandala design, full of geometric shapes and different colors. 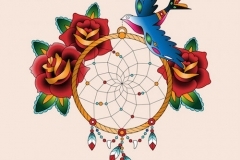 That being said, while dreamcatcher tattoos can be tailored to different styles and patterns, many people prefer to follow the Native American tradition when designing their tattoos. Because these objects are so important to the Native American culture, many consider it as a show of respect and honor to maintain the original form. 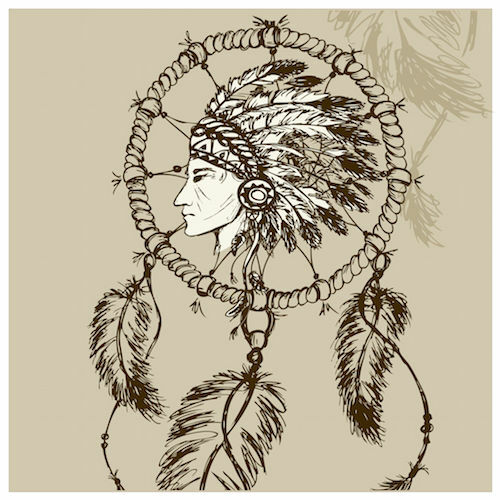 Dreamcatchers themselves are typically hung over the bed or a door, and so placement on the body is also important in a related way. 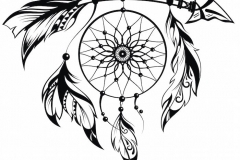 Many people prefer to place dreamcatchers on back of the arm or shoulder, or towards the top part of the torso, such as near the neck. 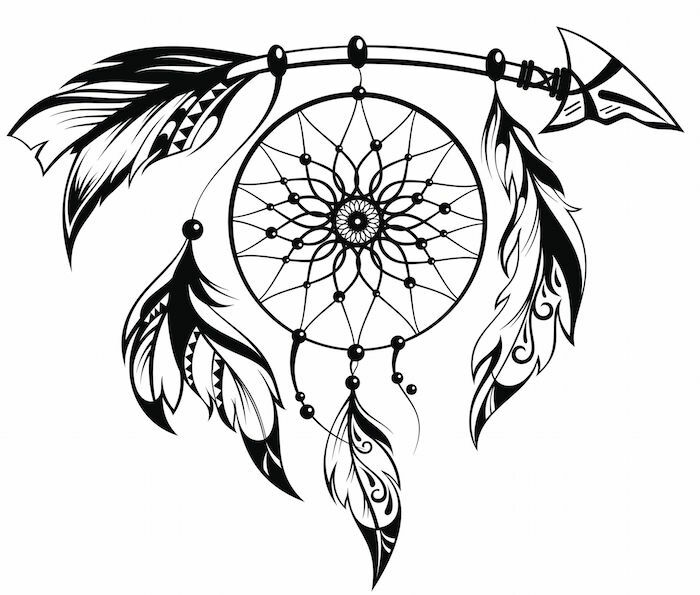 Dreamcatchers are particularly popular tattoos for women, who like to wear them on foot, on thigh, or even on side of the torso. Protect yourself from negative energy while opening yourself up to the positive. 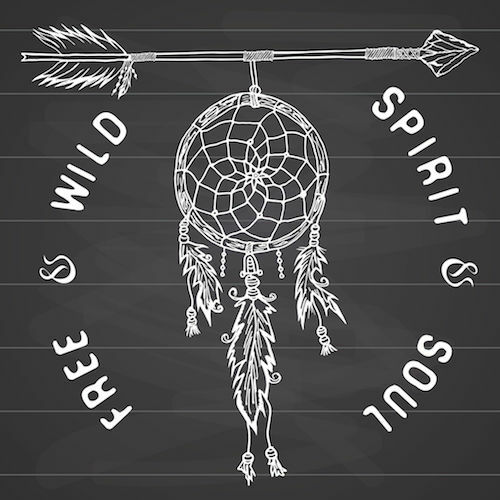 Inspired by the mystical or the spiritual; someone who associates with the protective symbolism of the dreamcatcher, Native American culture, or one who looks to infuse life with positive energy. 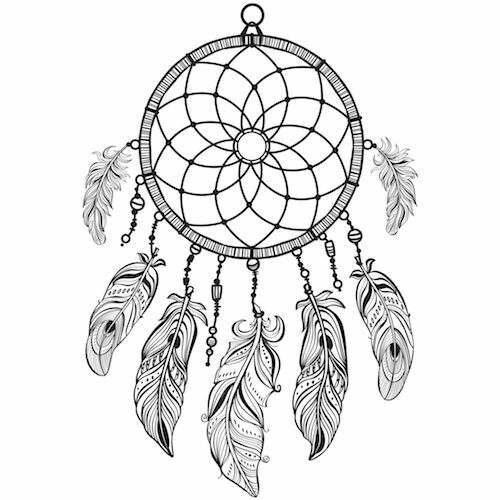 Dreamcatchers can be a reminder to rid yourself of negativity, and to replace it with positivity. 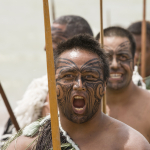 They can guide the wearer to stop getting bogged down in the bad aspects of life, instead focusing on ways to bring in the good, balancing their energy.